Brenda (Meyer) Corrow (Class of 1992), and Joel Fenske (Class of 1994). 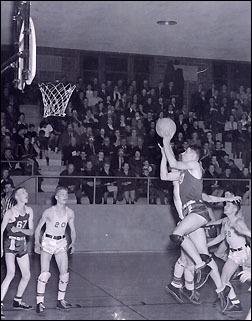 Above Bud Olsen playing basketball at PHS. He played from 1938-1941.